Jazmine Barnes was killed in the back of her mother’s vehicle after the family were fired upon on the East Sam Houston Parkway feeder road near Wallisville Road at approximately 6:50 a.m. last Sunday. 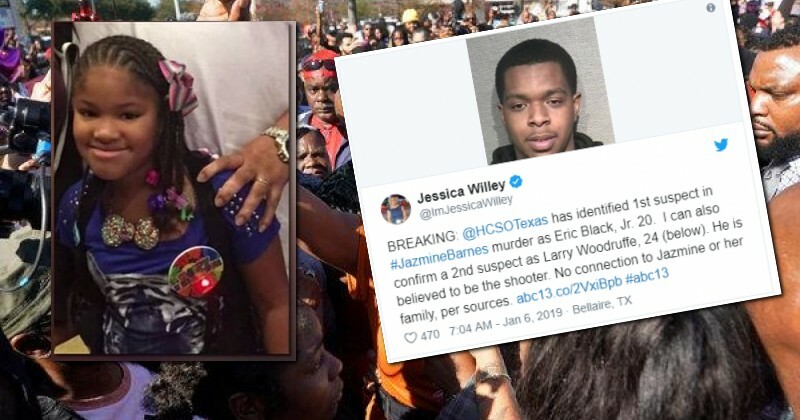 Jazmine’s sister described the shooter as a “bearded white man in his 40s wearing a red hoodie,” setting off a media narrative that the murder was a racist hate crime. Police subsequently released a sketch asserting that the suspect was a white man in his 30s or 40s. Black Lives Matter activist Shaun King also offered up a $100,000 reward for information leading to an arrest and arranged a rally to call for justice. Community activist Deric Muhammad claimed that the murder proved black people were being indiscriminately targeted by racist whites. “Black people are being targeted in this country, black people are being targeted in this county, black people are being targeted in this city. 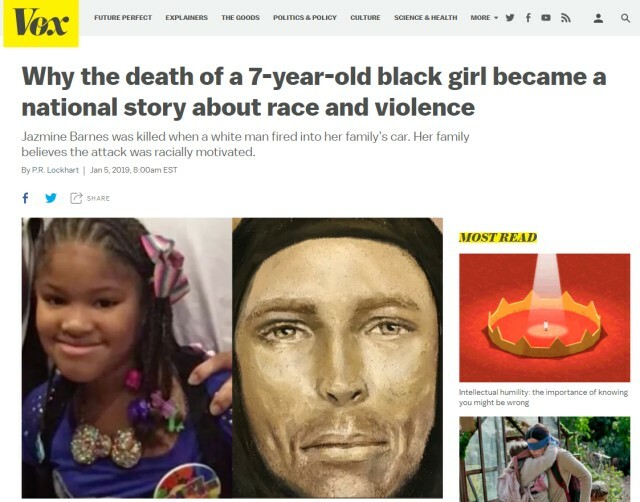 So we are thoroughly convinced that the killing of Jazmine Barnes was race related, we believe that there is a white supremacist element in that area that needs to be trotted out, found and brought to justice,” he said. However, it now emerges that the gunman was black. Willey tweeted a photograph of Woodruffe, who is clearly African-American.